As the vast majority of you already know, Lucky Scooters pro team rider Tanner Fox has been making an absolute killing on his own YouTube channel over the course of the last several years. In fact, I believe that he is coming up on a whopping 5 million YouTube channel subscribers, which is far beyond what any of us could have ever thought possible for a freestyle scooter rider. On top of that, his unprecedented 2 million Instagram followers are certainly worth noting. Overall, I think that it is safe to say that between Tanner’s two colossal social media followings, he is giving our beloved sport of freestyle scooter riding more exposure than we could have ever imagined. 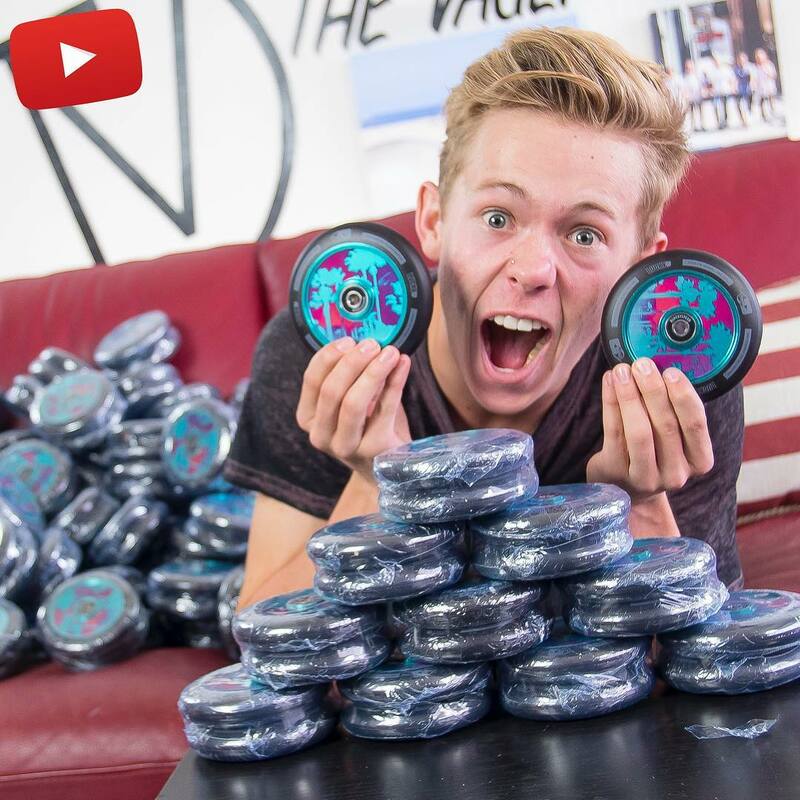 It should come as no surprise to all of you that we over at Lucky Scooters have decided to celebrate Tanner and his newfound success by giving him his very own signature Lucky Scooters wheel. Naturally, the industry has already been buzzing about these beautiful new wheels because they are the first hollow core freestyle scooter wheels designed and manufactured by Lucky Scooters. The collaboration between Lucky Scooters and Tanner Fox has produced the highest quality hollow core freestyle scooter wheel that accurately represents who Tanner is as an individual. 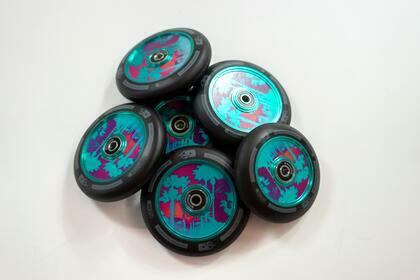 Aside from these particular wheels being some of the most aesthetically pleasing freestyle scooter wheels that you will see out on the market today, they are also some of best feeling wheels that you will ever roll around on. So, if you are looking for smooth, fast, and absolutely gorgeous-looking freestyle scooter wheel, then look no further than the brand new Lucky Scooters Tanner Fox signature wheels. These bad boys are currently available at Lucky Scooters for the very affordable price of just $39.95 per wheel, which is quite a bargain when you consider the fact that these are Tanner Fox’s own personal signature wheels. These wheels are limited edition and once they are sold out, they will be gone for good, so snag yourself a pair as soon as humanly possible, or else you will miss out on some of the highest quality freestyle scooter wheels in the world. 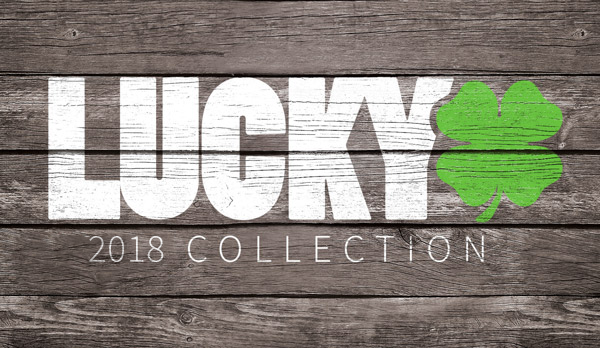 Don’t forget to stay tuned right here at the Lucky Scooters Blog for more awesome Lucky Scooters related team rider information and updates, along with any and all other future Lucky Scooters news, content, and updates. 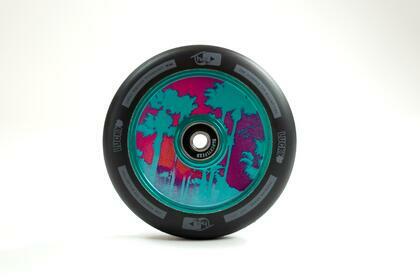 Want to buy the TFox sig wheels? Shop HERE! Connect with our team HERE! Shop around on our website by clicking HERE!